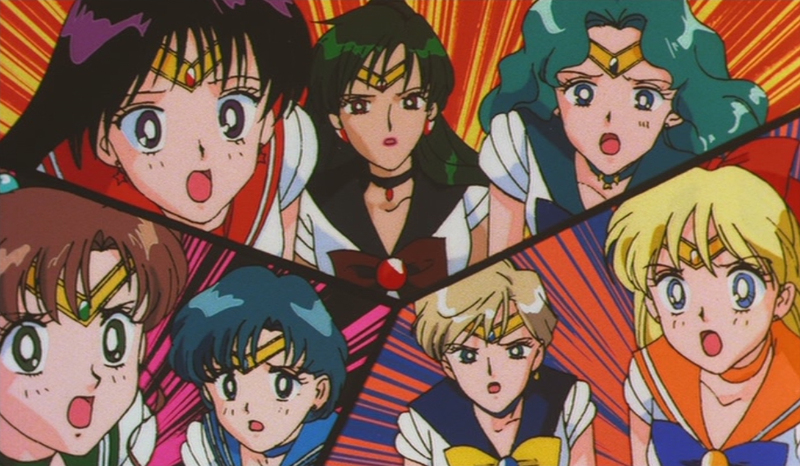 Animation errors in the Sailor Moon movies. 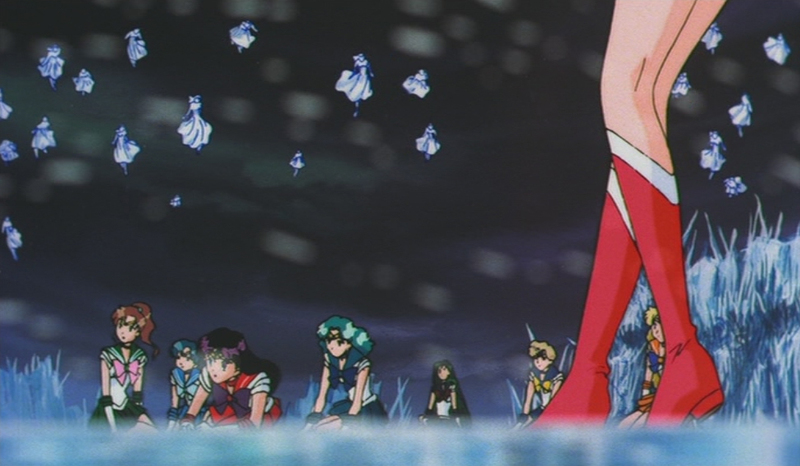 Despite wearing a backpack with bright red straps, they're not drawn for this scene. 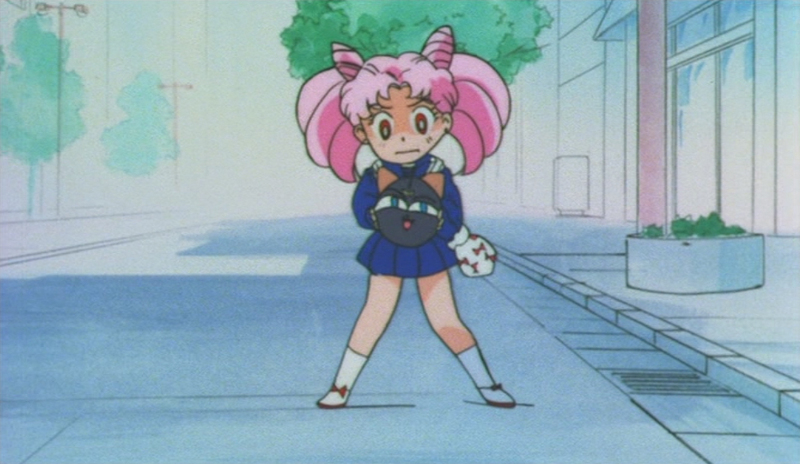 Ami's back bow temporarily turns pink instead of blue. Despite wearing a red backpack only moments earlier, it's suddenly disposed of without a trace, to never return. 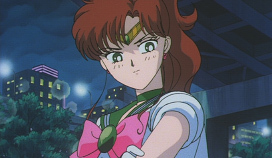 The back of her collar is white instead of green. Mercury's entire right leg is colored blue. 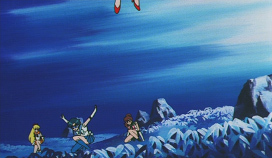 Mercury's boots are skin colored. Mars' back bow is purple instead of red. 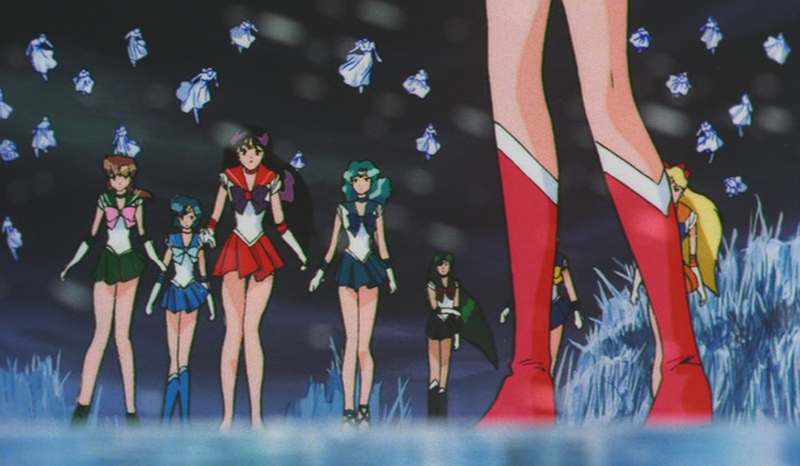 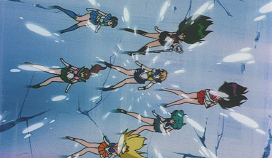 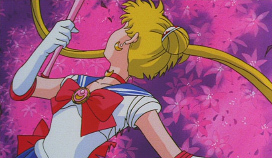 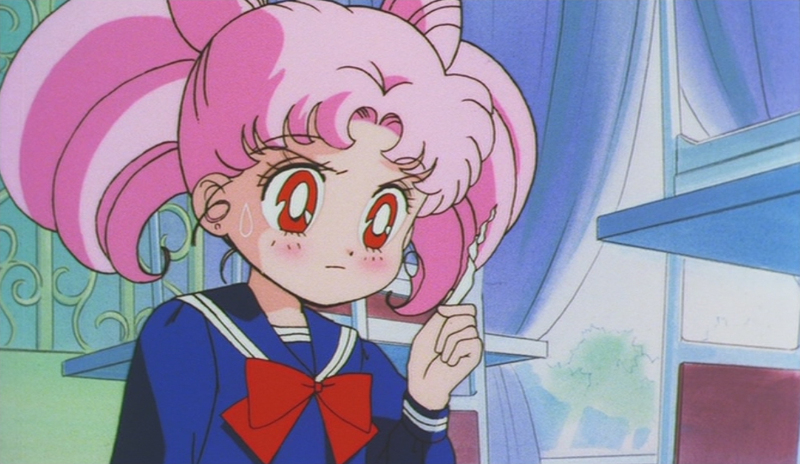 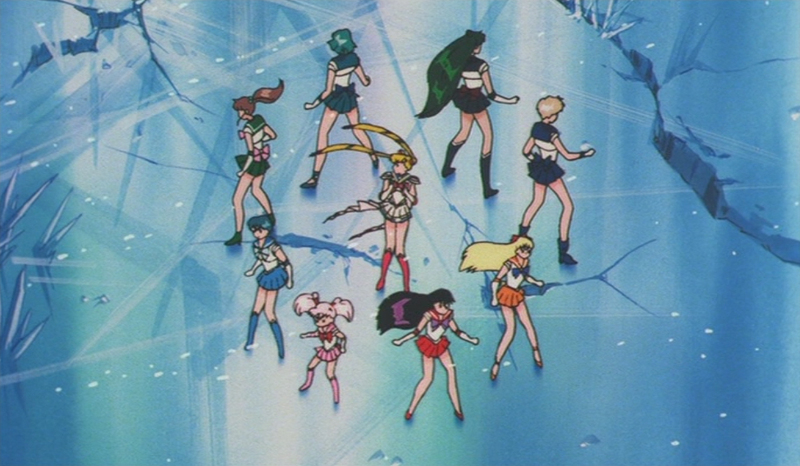 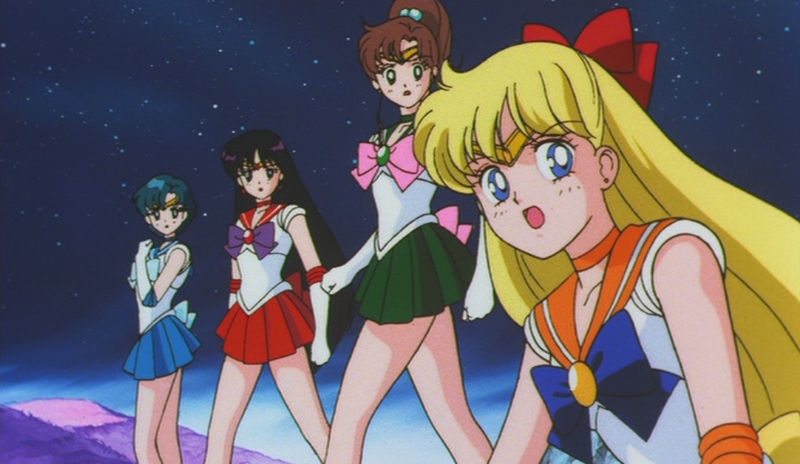 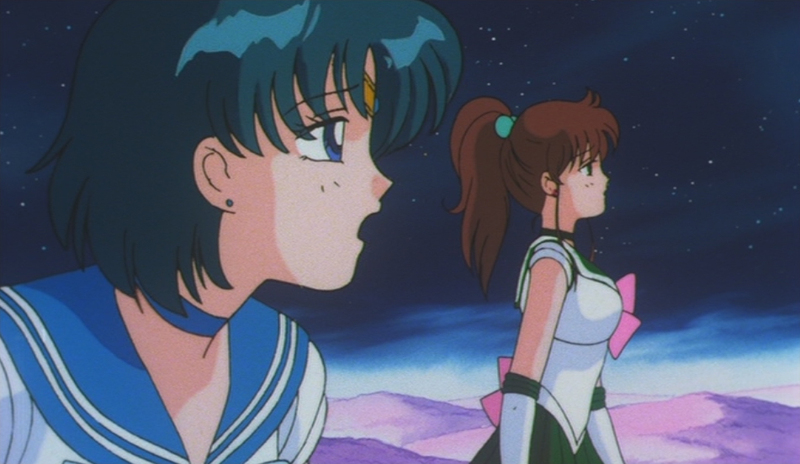 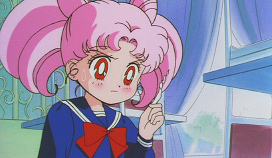 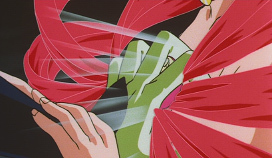 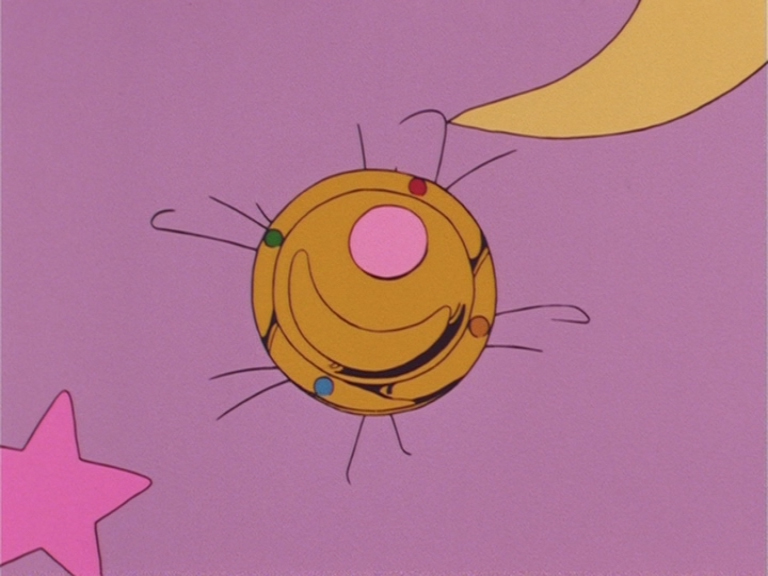 When Mars throws Sailor Moon, her brooch reverts to the one she wore in season 1. 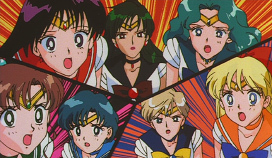 Mercury's collarbones disappear while she speaks. 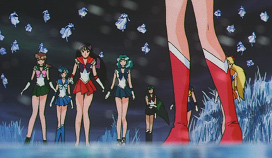 Mercury isn't wearing her boots. 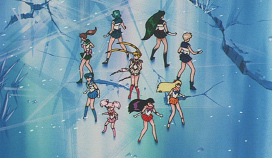 Usagi's choker is shown, despite not being transformed into Sailor Moon. 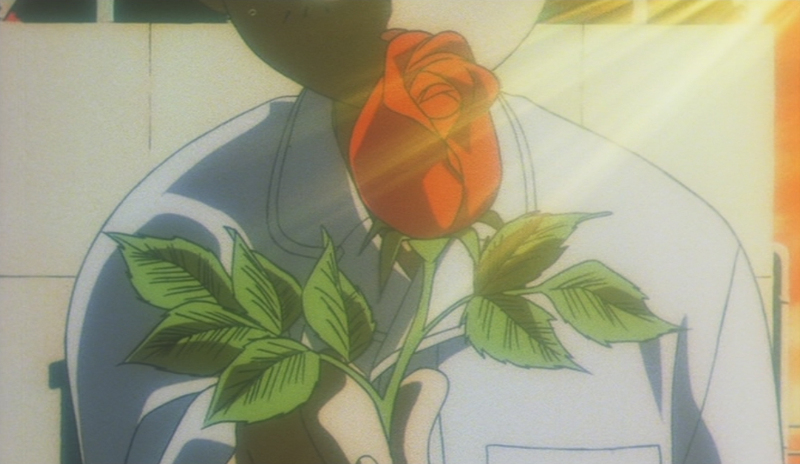 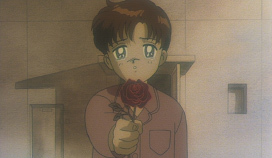 The rose that Fiore remembers being given by Mamoru, is significantly different from the rose in the first flashback. 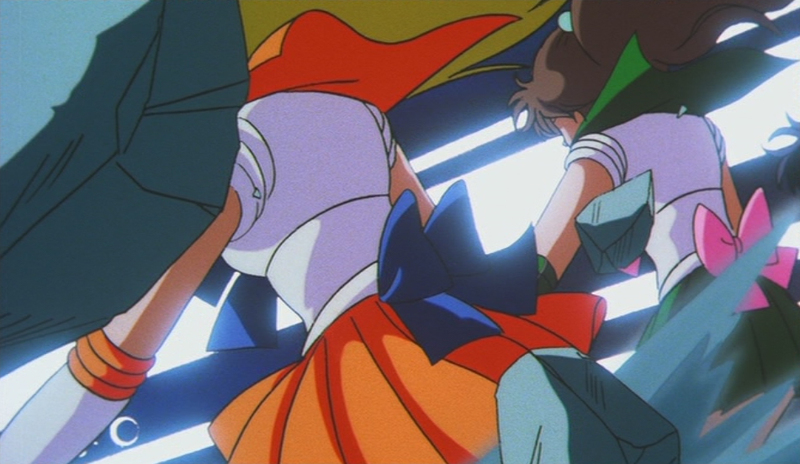 Venus' back bow is blue instead of yellow. Sailor Pluto wears shoulder pads despite not having any. 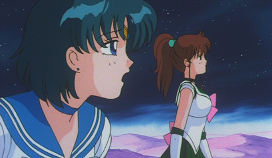 Sailor Pluto has shoulder pads again. 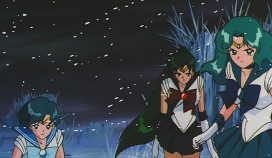 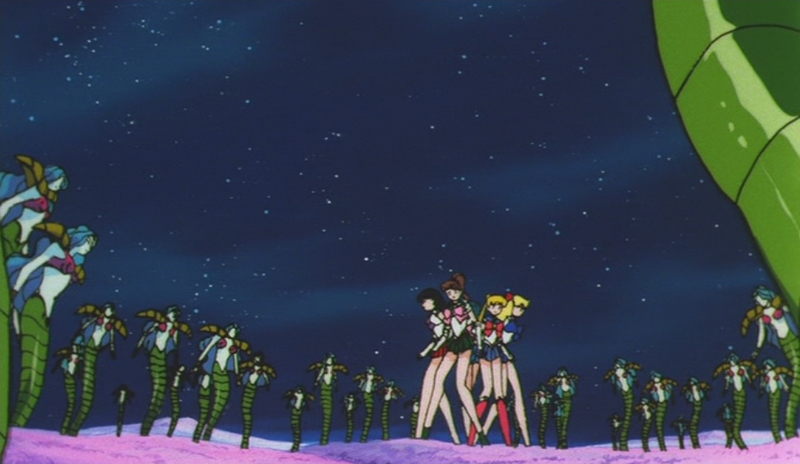 Sailor Pluto wears shoulder pads. 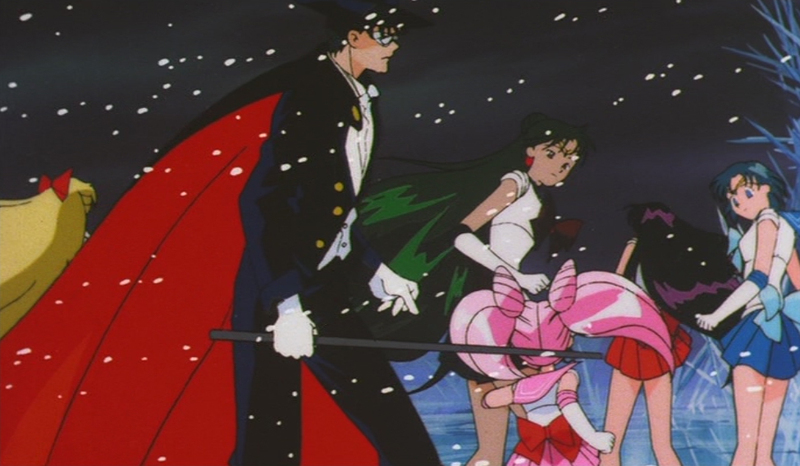 Another shot where Sailor Pluto has shoulder pads. 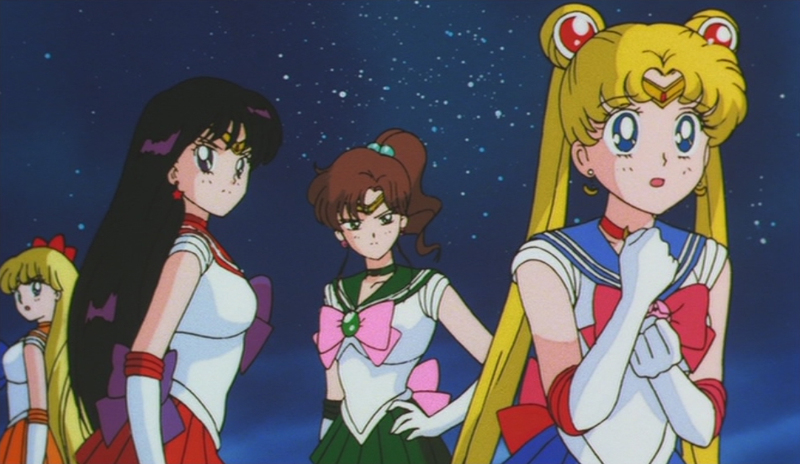 Sailor Pluto has shoulder pads yet again. 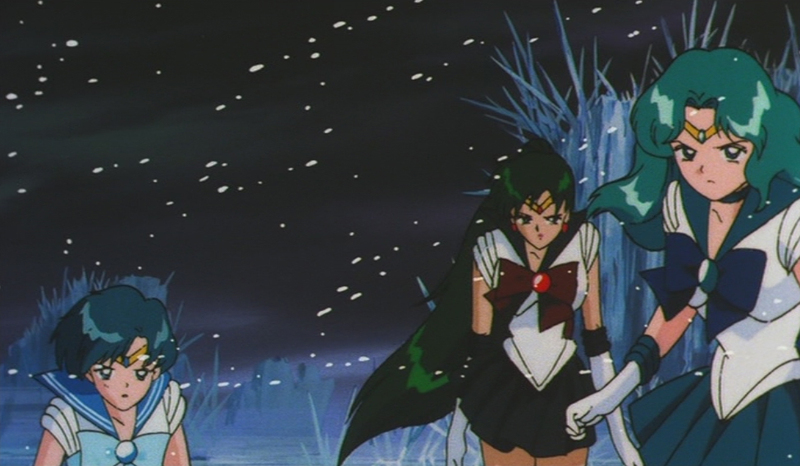 They really love to give Pluto shoulder pads. The final scene I found of Sailor Pluto and her infamous shoulder pads.